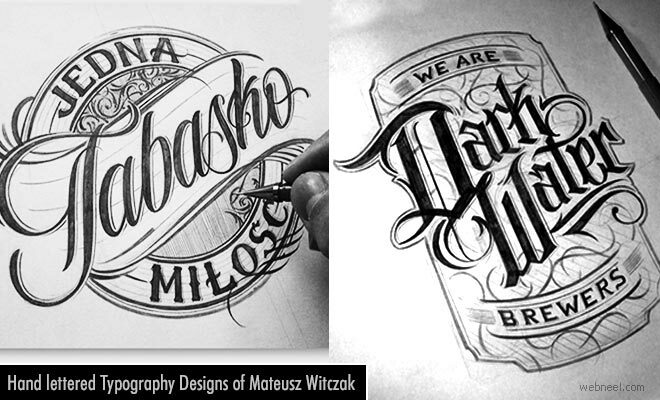 Mateusz Witczak is a self-taught lettering artist and graphic designer currently living in Warsaw, Poland. He has specialised in hand drawn lettering and typography designs which is a combination of traditional methods and latest digital applications. The details and shapes he uses in his typography designs are unique and the inspiration being his own creative thinking and motivation. His favourite media to work with is pigma ink pens and automatic pencils with thin point. Mateusz has experience in the field of branding, packaging, textile design and illustration.